by	Plitvice Times	9. October 2018. The medieval feudal town of Sokolac, founded on the hill in the centre of Brinje, is a magnificent construction built in the early 15th century by the Dukes of Frankopan. At that time, Sokolac was the centre of political, commercial and cultural life, a place visited by exceptional historical figures, such as King Sigismund of Luxemburg and the King Erich the VII of Denmark. 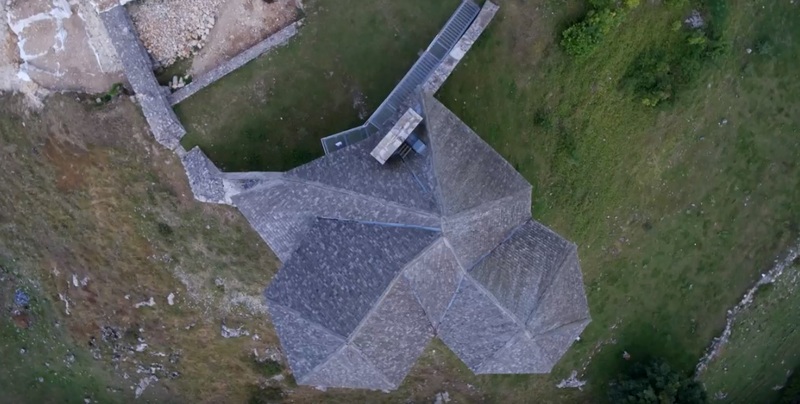 Sokolac was recently filmed from the air by Goran Šafarek, from Šafarek Film, and the result is spectacular. We don`t remember seeing it from this perspective. Enjoy the video, and stop by for a tour when passing through Brinje. As a result of the invasion by the Turkish army, the Frankopans ceded their property to the king, who placed a military crew there as the first line of a defence against the Turks. Although Brinje was repeatedly attacked, it was never conquered. After the successful defence and abolition of the Military Frontier (Vojna Krajina), the fortress gradually deteriorated, and to this day, the entrance tower and two-storey burg chapel of the Holy Trinity, one of the most beautiful late Gothic sacral monuments in Croatia, has been preserved. In the chapel, the central area is occupied by an octagonal nave in which on the one side extends the shrine of the chapel, whereas on the other side, equal to size, is an area dedicated to the Madonna of the Seven Sorrows. In the 17th century, new Mannerist altars were erected in the chapel, incorporating a Gothic statue of the Madonna with the Child Jesus and the Pieta that dates to the early 15th century. On the Gothic vaults in the crypt and on the upper floor, there are stone reliefs of the carved emblem of the Frankopans and Gorjanskis. In June 2007, in the substructure of the chapel, a permanent exhibition called “The Noble Town of Sokolac” was set up, offering visitors information about Sokolac and the role of Dukes of Krk in Croatian history. Many stories and legends have been told about Sokolac, from the wedding of the French king in the chapel, the huge snake in the dungeon, to the peculiar energy emanating from the hill on which it was built.